Months of speculation is finally confirmed and the final scene in the trailer gave me goosebumps on top of goosebumps. 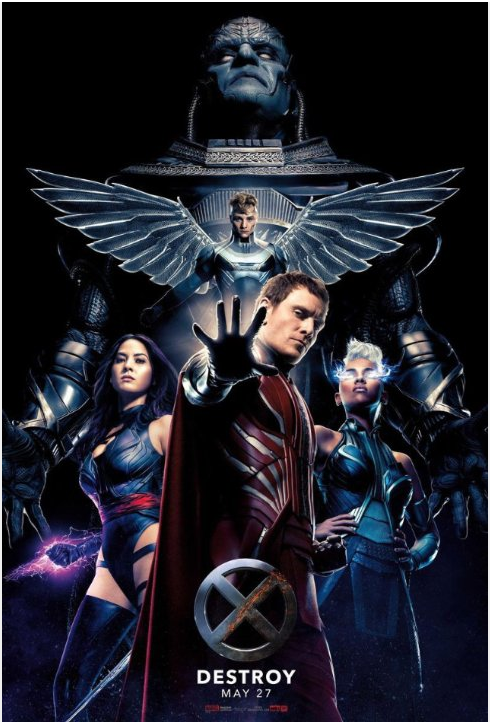 I won’t lie, I’ve gotten a little disinterested in the new X-Men movies Bryan Singer has been releasing and I’m not sure why, because I love the actors involved. Jennifer Lawrence, Nicholas Hoult, James McAvoy and Michael Fassbender and Evan Peters are some of my favorite of the up and comers in Hollywood and I love everything else they’re in. I think I’ve just gotten over-dosed on the comic book movies as the genre is drenched in new titles. Nothing has sparked my interest like the last few seconds of this trailer. The best has truly been saved for last as the film hits theaters on May 27 and I believe this is one I will be checking out. This entry was posted on Monday, April 25th, 2016 at 5:43 pm	and is filed under Comics, Film, News. You can follow any responses to this entry through the RSS 2.0 feed. You can skip to the end and leave a response. Pinging is currently not allowed. « Nathan Fillion Cameo In ‘Guardians of the Galaxy 2’ Is WONDERful!!! How you doin' Chewbacca? Still hanging around with this loser?